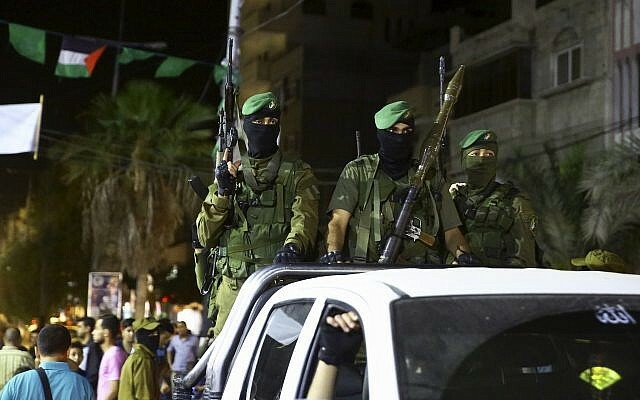 A Hamas-run military court has sentenced five Palestinians and an Israeli resident to death for “collaborating” with Israel, the Hamas-controlled Interior Ministry announced on Monday in a memo on its official website. Five were sentenced to death by hanging and one by firing squad, the ministry said. The Israeli resident, identified by her first name, Amal, was sentenced in absentia, it added. One of the five Palestinians sentenced to death, identified by his first name, Ali, was first connected to the Israel intelligence services in 2000 and had since provided it with information on operatives in Gaza, their residences and their means of transportation, the ministry claimed. Ali, 48, provided Israel with information on the area where Mazen Fuqha, a senior Hamas official who was mysteriously assassinated in Gaza in March 2017, lived, it said. The court also sentenced eight Palestinians to various degrees of hard labor for “collaborating” with Israel, according to the ministry. 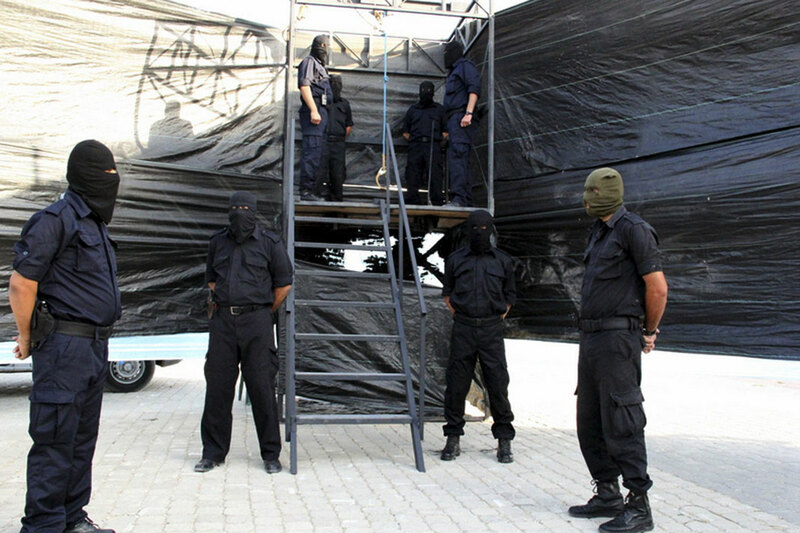 The memo did not say when the Hamas authorities in Gaza plan to carry out the execution sentences. Hamas authorities have held public executions in the past of those it accuses of collaborating with Israel. Hamas, a terror group which seeks to destroy Israel, has controlled Gaza since 2007, when it ousted the Fatah-dominated Palestinian Authority from the territory. Iyad al-Bozm, the spokesman of the Hamas-run Interior Ministry, vowed that Palestinians who collaborate with Israel would not escape punishment. “The collaborators should realize that the occupation will not be able to protect them and that the hand of justice will reach them,” Bozm said in a statement posted on the ministry’s website on Monday. Since 2007, Hamas authorities in Gaza have carried out 25 execution sentences; in the same period of time, the PA has not enforced any death sentences, according to B’Tselem, an Israeli human rights group. A spokesman for the PA government did not immediately respond to a request for comment. The PA has long criticized Hamas authorities for carrying out executions without the approval of PA President Mahmoud Abbas. According to Palestinian law, the PA president must approve the enforcement of any execution sentencing. Since 2006, Abbas has not given his official blessing for the implementation of a single death sentence. International rights groups have also rebuked Hamas for carrying out death sentences. After three Gazans were executed for “collaborating” with Israel in 2017, Human Rights Watch, an international human rights group, lambasted the terror group. “The death penalty is a barbaric practice that has no place in a modern state,” Sarah Leah Whitson, executive director of the Middle East division of Human Rights Watch, said at the time.